Ralf Dahrendorf, a German sociologist whose experiences in Nazi Germany led him to develop a theory of liberalism and human freedom that often went against the grain of German politics in the postwar period, died Wednesday in Cologne. He was 80. His death was confirmed in a statement from Chancellor Angela Merkel, who said, “Europe has lost one of its most important thinkers and intellectuals.” The cause was cancer, said his wife, Dr. Christiane Dahrendorf. Mr. Dahrendorf championed liberal pluralism, which he defined as a social system that recognizes divergent interests and aspirations and puts institutions in place that allow them to be expressed. Democracy is “about organizing conflict and living with conflict,” he told an audience at the Institute of International Studies at the University of California, Berkeley, in 1989. He explored these ideas in “Class and Class Conflict in Civil Society” (1957), which famously proposed the counter-Marxist idea that power, rather than property, defined social class. Later books like “Society and Democracy in Germany” and “Modern Social Conflict” pursued similar themes. Ralf Gustav Dahrendorf was born in Hamburg, where his father, a Social Democratic politician, was arrested and removed from his job by the Nazis in 1933. The family moved to Berlin soon after. Mr. Dahrendorf’s father was arrested again in 1944, and a few months later, Ralf was arrested by the Gestapo for anti-Nazi activities and sent to a concentration camp in Poland. He was released as Soviet forces advanced in 1945. At the University of Hamburg, Mr. Dahrendorf studied philosophy and classics, earning a doctorate in philosophy in 1952. He went on to earn a second doctorate, in sociology, at the London School of Economics, where he studied under Karl Popper. It was Mr. Popper’s “Open Society” that provided the answers, he once said, to the great questions of modern industrial society posed by Marx. After teaching at the universities of Saarbrücken, Tübingen and Konstanz in West Germany, and at Stanford in California, he ran for a seat in the regional Parliament of Baden-Württemberg. In 1969 he was elected to the federal Parliament as a Free Democrat. 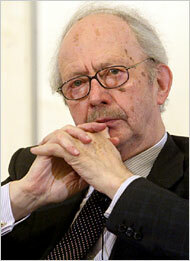 He was a junior foreign minister in Willy Brandt’s first government and in 1970 became a European commissioner. At a time when liberal democracy was under attack, Mr. Dahrendorf, as both a university professor and a politician, held fast to the principles of pluralism and personal freedom. His convictions were Social Democratic with a libertarian spin. He favored laws and policies that encouraged personal freedom, a sense of citizenship and a broadening of social, economic and political opportunities. Germany’s problems, he argued, stemmed from a belief in absolute answers and in the yearning for an all-powerful leader to put them into effect. In 1974 he was invited to become director of the London School of Economics, a post he held for the next decade. He later wrote a history of the school. He returned to Germany to become chairman of the social sciences department at Konstanz University, but in 1987 he accepted the position of warden of St. Antony’s College, Oxford. He became a British citizen in 1988 and was made a life peer under the name Lord Dahrendorf of Clare Market in the City of Westminster in 1993. In addition to Dr. Dahrendorf, his third wife, he is survived by three daughters, Nicola, Alexandra and Daphne, and one grandchild.